What better way to present this than a map? 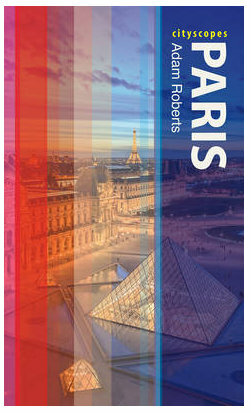 Almost the totality of the site's homepage is taken up by a plan of Paris, with the videos currently produced dotted across the entire spread of the city. Clicking on one of these dots launches the video, and also displays a section which allows intereaction between visitors and film makers. This link between a specific part of the city and the style of the film maker is central to the Crop The Block ideology. 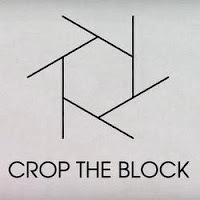 'Block' represents the chosen district, and 'Crop' the creative choices made by the video producer. This art of cropping is taken one step further. Film makers who choose to join the community become 'croppers', with their work being promoted by the collective both on the site and to potential external clients. The videos themselves are eclectic, the subjects ranging from mini-fictions to micro-documentaries. Never longer than 3 or 4 minutes, they offer snapshots of life, with the city itself being the only unifying character. The site is currently in beta version and hosts around 25 videos, but this number should grow rapidly. Indeed, the entire concept is likely to evolve in the coming months. 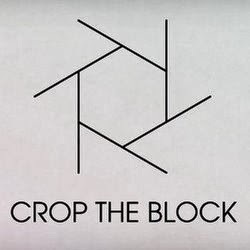 Co-founder Adrien Degouve told me that Crop The Block Berlin should be launched in 2014, but they are also interested in exporting the concept to other European cities. Watch this space! The lack of human actors in these two films means that it is the district themselves that become the stars. Both films also feature impressive 'cropping', transforming what at first seem to be static plans into dynamic action shots. The temptation with this subject would be to focus on the quaint aspects of this atypic neighbourhood and produce a postcard-pretty film. Frankie Doguet's vision though is timeless and melancholic. It also features impressive 3D touches that you can appreciate without glasses! Very appropriate that the only film without people is at La Défense!!! Hi Marc, and thanks for the comment. The link should be ok now! Thanks for your comment Frankie. It's an excellent film and you are a talented film-maker.